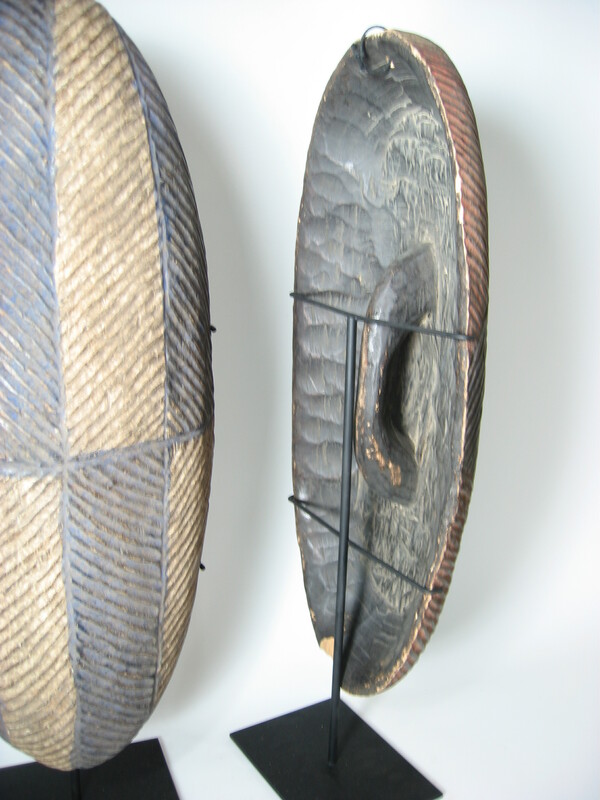 Often shields were used for decorative or ceremonial purposes. 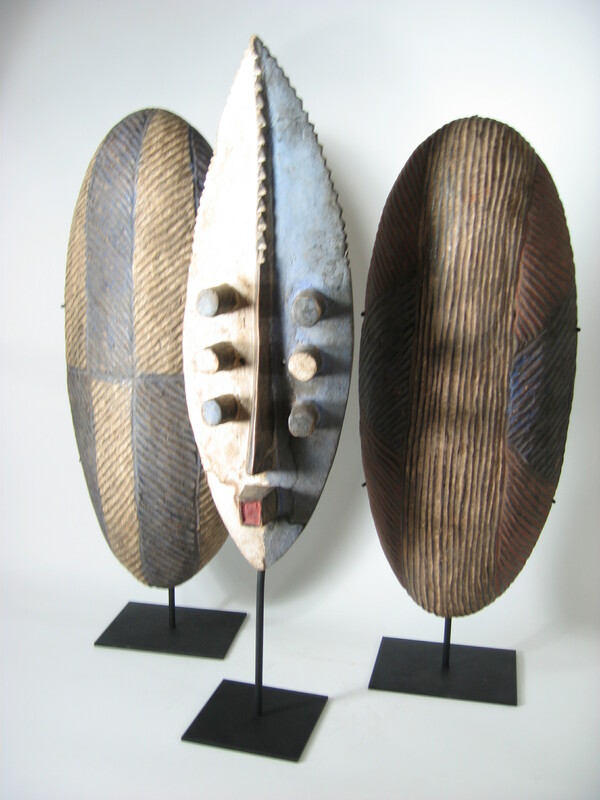 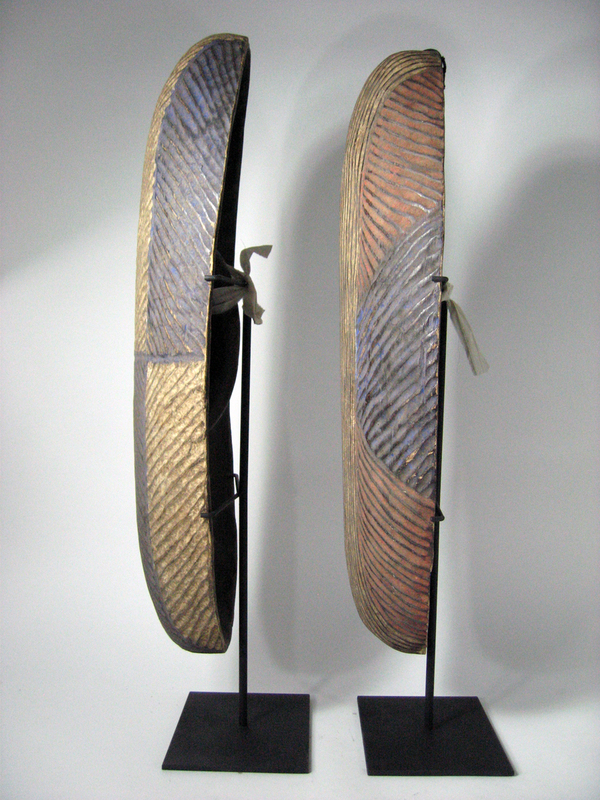 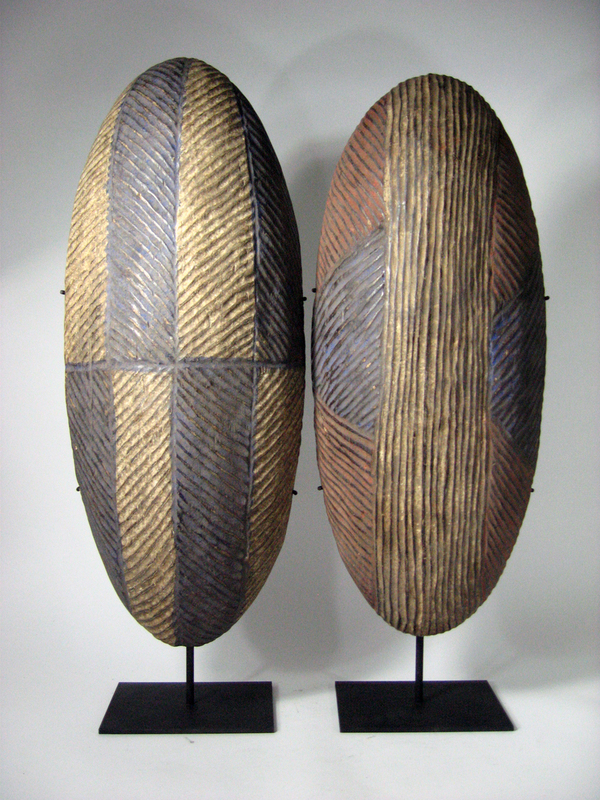 These hand carved shields are dramatic contemporary forms of muted colors and look great alone or combined with the mask (Item 5110). 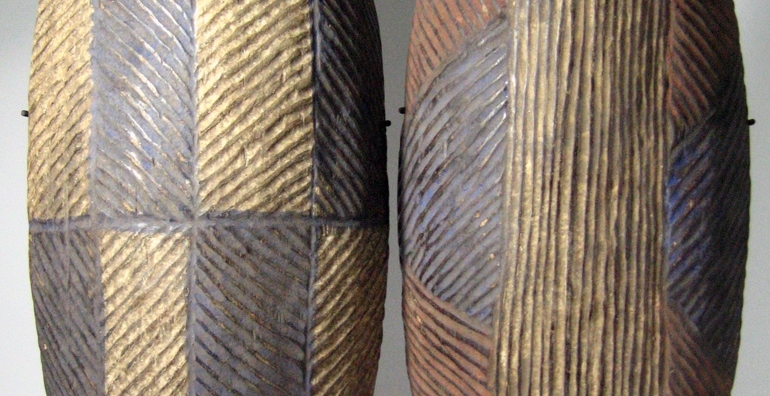 L 11" x D 6" x H 30"